The Grinch streaming: How to watch the full movie online? Is it legal? 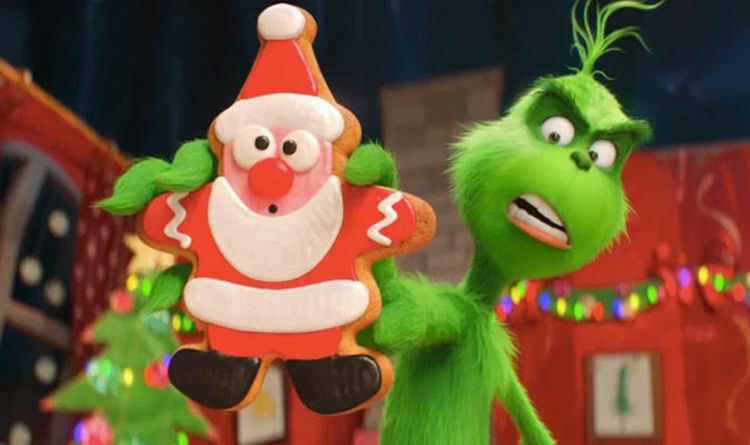 The Grinch movie has surprised many of the more cynical, dare we say curmudgeonly, moviegoers, by not being wholly awful. The newest adaptation of Dr Seus’ story currently holds a 59 percent rating on Rotten Tomatoes. Though one percentage point away from being ‘fresh’, The Grinch’s current Rotten Tomatoes rating indicates mixed, but leaning towards positive, reviews. Whatever adults might think of the film, it will likely win over children – if you can get them to sit still in the cinema for long enough. Can you watch The Grinch online? Is it legal? Unfortunately for parents wanting to entertain their tots at home, the answers are no and no. Any site purporting to have The Grinch available to stream is likely illegal, to be forewarned. The 2018 adaptation will likely arrive on DVD, as well as have its own digital release, in February 2019. While this is significantly after Christmas, the film will likely retain its charm for the holiday season in 2019. The Grinch will be released on DVD, Blu-ray, and 4k Ultra HD versions. Along with these purchases, sites like Amazon often offer a combination deal. This would provide purchasers with a digital version in addition to their hard copy. Of course, purchasing a digital release on Amazon requires having Amazon Video. Once The Grinch is out on home edition release, it may then wind up on a streaming site like Netflix or Amazon Prime. In this instance, the only cost would be your monthly subscription already being paid. No official release dates for streaming or home entertainment have been confirmed as of yet. The voice cast for The Grinch features some A-list names. Benedict Cumberbatch voices the titular character, a grumpy, green creature who dislikes Christmas. Cameron Seely voices Cindy Lou Who, a young resident of Whoville. Rashida Jones voices Donna Lou Who, Cindy’s overworked mother. Kenan Thompson, known for his work on SNL and perhaps more so from Kenan and Kel, voices Bricklebaum, a jolly citizen of Whoville. The inimitable Angela Lansbury lends her voice to the Mayor of Whoville. Pharrell Williams voices the Narrator, with Ramone Hamilton as Axl, Sam Lavagnino as Ozzy, and Scarlett Estevez as Izzy. The classic ‘You’re a Mean One’ song is reimagined and performed by Tyler The Creator. To hear these actors give their takes on the classic tale, you’ll have to brave the weather and queues. The Grinch is out now in cinemas.